announced on episode 11, season 7 of Live & Hip Hop New York. 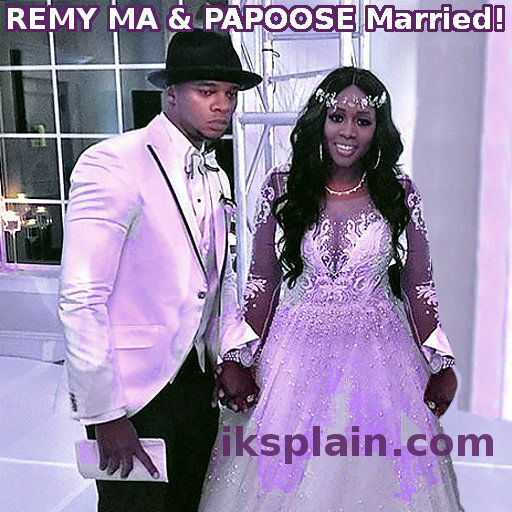 It’s obviously been a difficult time for Remy Ma and her husband Papoose. Here is the link for the updated story! The LHHNY star hasn’t yet made an official pregnancy announcement. But it’s been an open secret since the reunion taping several weeks ago, when Remy Ma and Papoose apparently dropped the big news. Now, a dispatch from noted gossip site King Of Tea claims that Remy and Papoose are expecting a girl, and that they’ve decided to name her Shamella Mackie–after her father, whose real name is Shamele Mackie. Having a child together has been at the top of Papooses list since Remy Ma returned home from serving her prison sentence. On season six of Love And Hip Hop New York, Remy agreed to start trying only after they had the wedding of her dreams. I love seeing Remy Ma and Papoose together. Love And Hip Hop New York, has been more tolerable watching their healthy relationship.